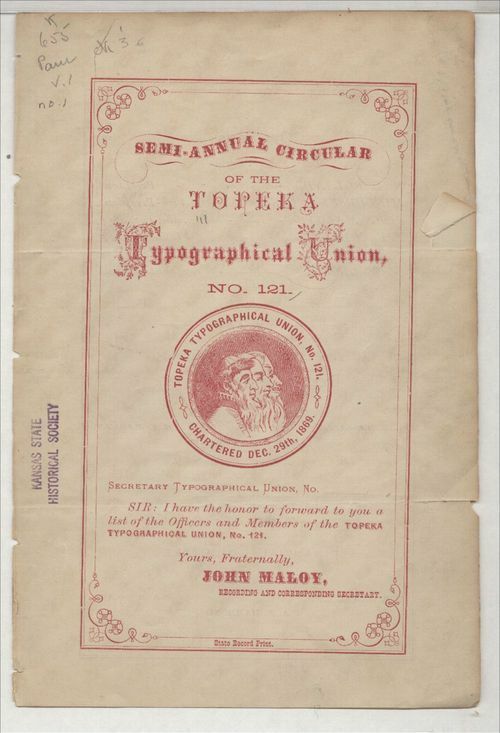 This semi-annual circular of the Topeka Typographical Union No. 121 includes a list of officers and members in good standing . The recording and correspondence secretary, John Maloy, forwarded the list. The logo of the charter is displayed on the circular. Topeka Typographical Union No. 121 was chartered on December 29, 1869.